This article explains a few things to know as you get started with Meteor Forms. Get answers to common questions about our pricing plans and billing. Need help figuring out how to put your form on your website? Learn about managing your account details and contact information. Meteor Forms is a service by RdyToGo LLC that focuses on the setup, hosting, and care of your online forms. Versus the other competition, you don't have to lift a finger trying to create a online form. We do it all for you. We design an digital form that is similar to your original paper form, making it possible for your forms to be filled out online. Additionally, once they're online, the entries gathered are available as printable PDFs that look like your original paper form. Of course, you can also embed your Meteor Form(s) onto your own website, and some other social media platforms with zero hassle. Since we embed the forms, the software used to make them work doesn't conflict with your website. Are the forms you make also called Meteor Forms? Yes. Meteor Forms is a service and the online forms that are generated as part of the service can be called Meteor Forms. But, Meteor Forms are different from your average online forms made by our competitors. 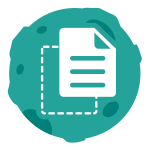 A Meteor Form is a form that was hand-crafted to fit your needs, packed with features you won't get anywhere else, such as our unique ability to generate PDF files that look like your original paper form. See our full list of features. What kinds of forms do you accept? We accept informational gathering forms such as surveys, quotes, contact information, applications... you name it. We currently do not accept online payment forms but this will be a future implementation. If you need HIPPA compliant forms please contact Ingenuity Marketing to learn about our solution. If you are concerned about whether your form is incompatible with our setup, you can always contact us here. Do all the work and build the form for you. You don't have to learn or use some drag-and-drop system. Generate printable PDFs that look like your original paper forms. That's right the paper forms that your business knows and loves or has to use are not going away. They are just being completed by a computer. Provide security by SSL, Firewalls, and Antivirus. How secure is your website? It doesn't matter because our forms are secure even if your website is not. Make your form Embeddable. You can place your form on multiple pages of your website and even other websites. Maintain your form. Yes, we can make changes to your form and keep the servers running at peak efficiency. It's easier than ever to get your forms filled out online and have them converted to PDF. Why do I have to pay a service charge with my form? Meteor Forms is not simply a product that we are selling. We are a service. Our Meteor Forms cost $25 per form every month. We also include a monthly $15 charge for our services, such as: creating the form, embedding, maintenance, exporting, hosting, etc. Can I buy a form without the service fee? No. The service fee is always included in our prices and packages. The service fee makes it possible for us to host and maintain your form. We want our clients to understand that we do all of the work for them, rather than having them do anything themselves. I need more than four forms! What do I do? You can contact us here for more information about bulk or special orders. We'll get back to you as soon as we can. Why are your prices different than other form builders? Meteor Forms is not exactly the same thing as a Form Builder. In fact, we are not a Form Builder, we are a service with a unique and powerful offering. We actually build your form for you and provide our unique PDF conversion feature which no Form Builder service matches. Meteor Forms simplifies every task for the end user, without the client having to lift a finger to make it work. We focus on making it easy for our customers to get the form they want with many features, that no one else offers. I don't want to embed. Can you do it for me? We would be more than happy to do the embed for you. We will need the password to access to your website. Once we login, we will attempt to embed the form for you. Most of the time there is no problem, however, for special situations that are more complex, we may have to charge a small fee for the work involved. To be clear, we have never yet had a situation that we needed to charge the extra fee. What do you mean "embed?" Basically, we give you a small code that the computer understands. You will just copy the code and paste it in your website on the page or location you would like the Meteor Form to appear. If you, or your web person can't do this, you can ask us to do it if you give us access. How can I access my account with Meteor Forms? At the top of this page, you will see a link to "My Account". Click this link and login if you are asked. After logging in, you can manage your account and forms from there. Can I switch from Monthly payments to Annual payments? Yes, you can manage your subscription from the "My Account" link above. Keep in mind that if you switch from Monthly to Annual, you will be starting the Annual subscription on the day of the switch and the whole amount will be due. This does not pro-rate.